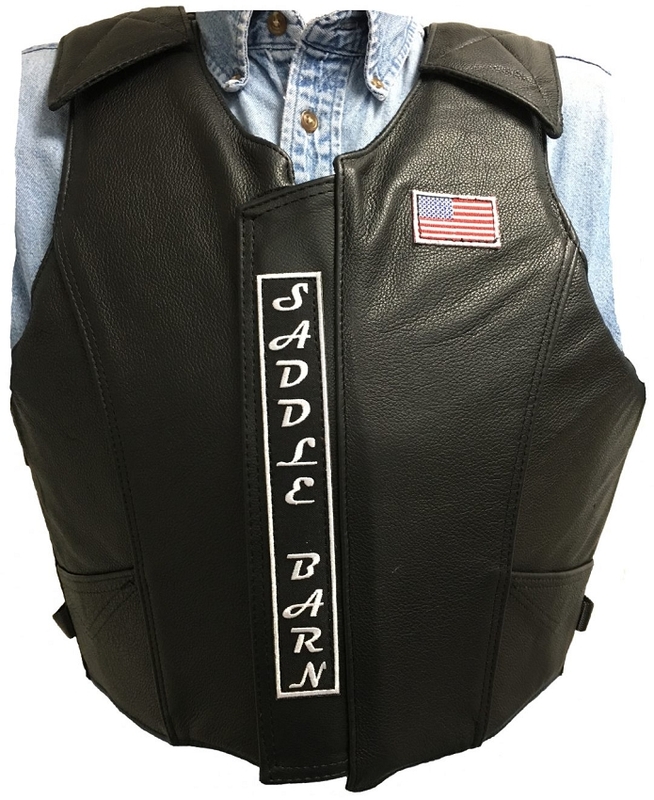 This rough stock pro rodeo vest by Saddle Barn® has a top grain leather outershell and high density foam inner shell. 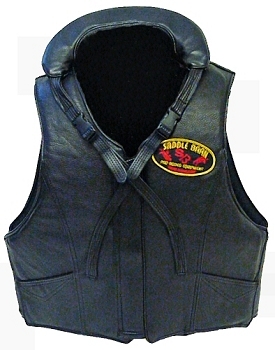 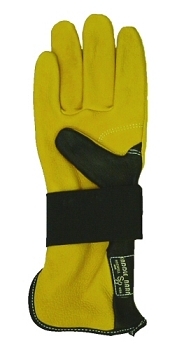 Zipper front with Velcro® closure and adjustable Velcro® shoulder. 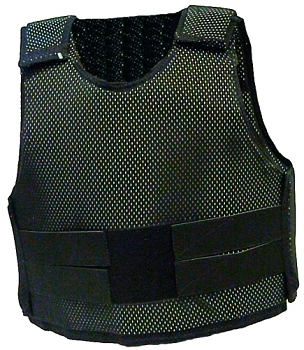 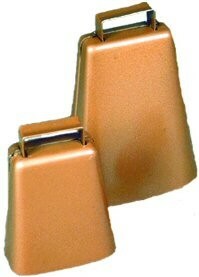 Available in Small, Medium, Large and X-Large. 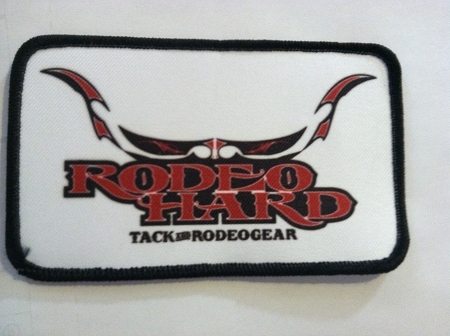 Black stock color with embroidered Saddle Barn® Pro Rodeo Equipment logo.